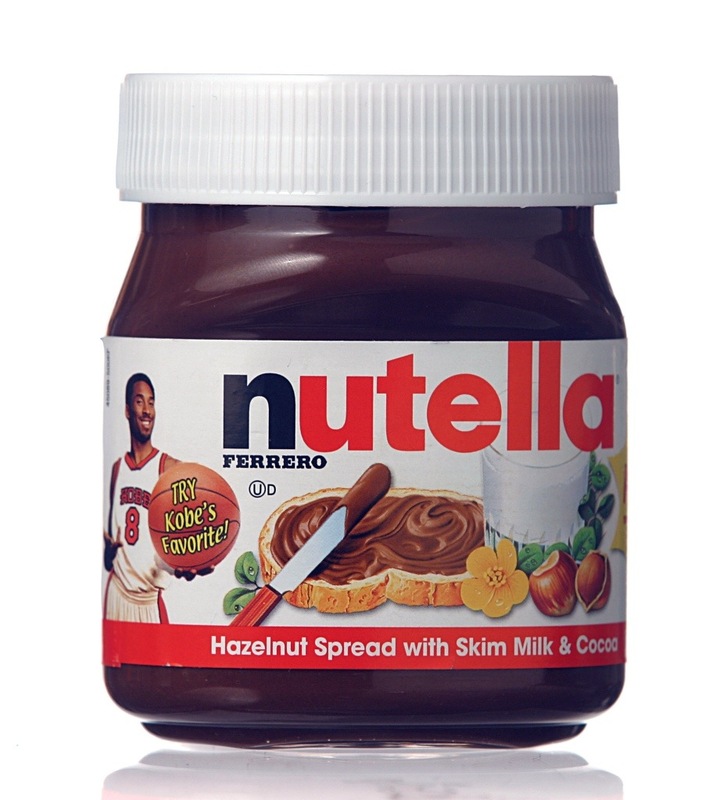 It really irritates my that Nutella is marketed as a healthy breakfast food. It’s not! One serving, 2 tbs, has 21 g of sugar! That’s more sugar than you’ll find in two servings of frosted flakes. 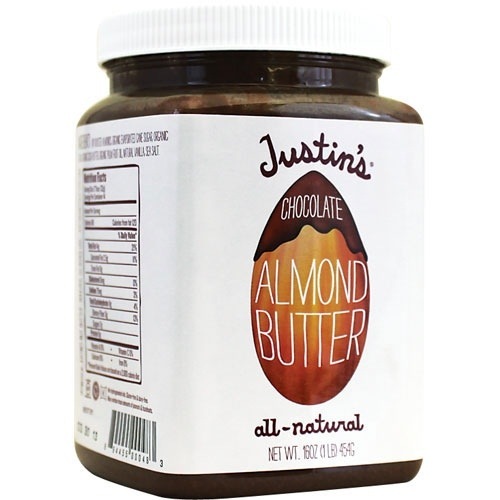 I later discovered an alternative to Nutella- Justin’s Chocolate Almond butter and hazelnut butter. With only 7 g of sugar, it’s a healthier option to reach for when craving a chocolatey nut butter. Unfortunately, as delicious as Justin’s butters are, they’re just too expensive for me. $9.99 per jar is steep when you’re tempted to eat the whole thing at once. 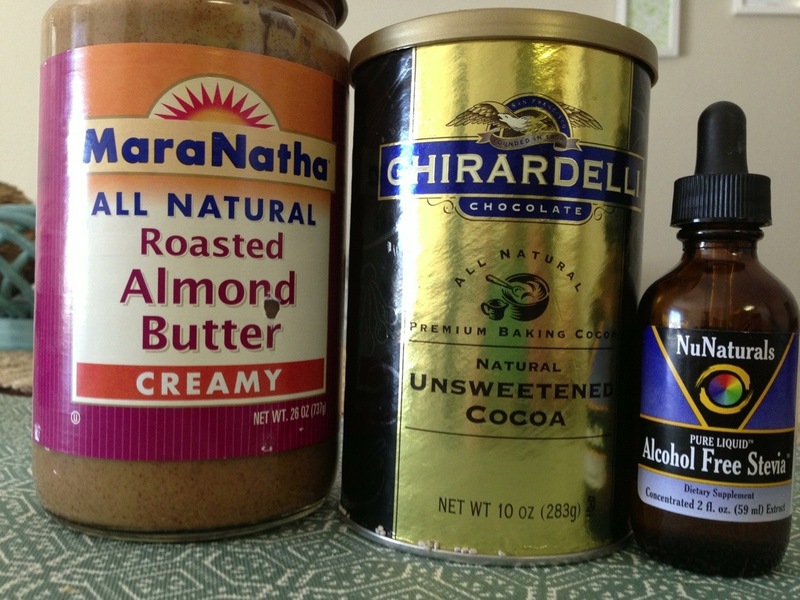 It recently dawned on me that I could make my own healthier version of Nutella using the almond butter I buy at Costco! For $10, you get 26 oz of nut butter instead of just 16 oz. I like that this recipe is easy to make, but it’s just labor intensive enough to discourage you from going back for more. 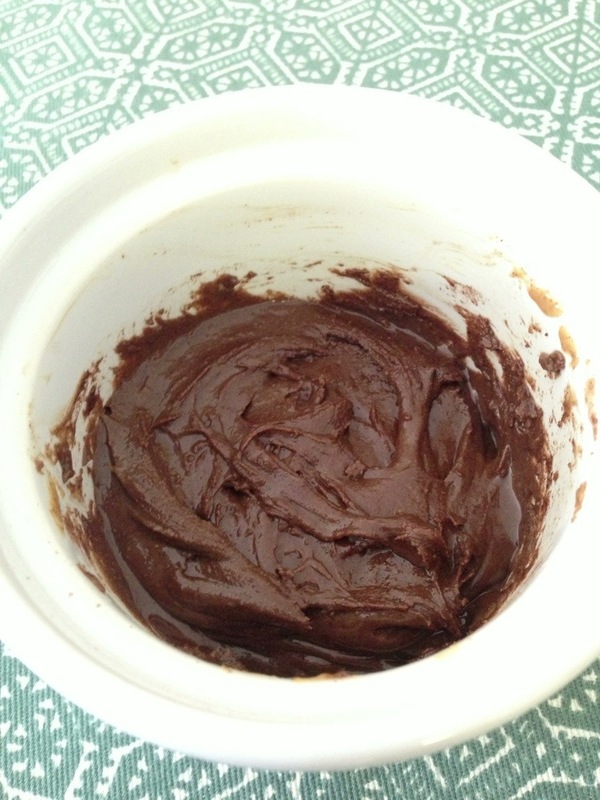 Combine the three ingredients in a small bowl and blend thoroughly with a spoon. 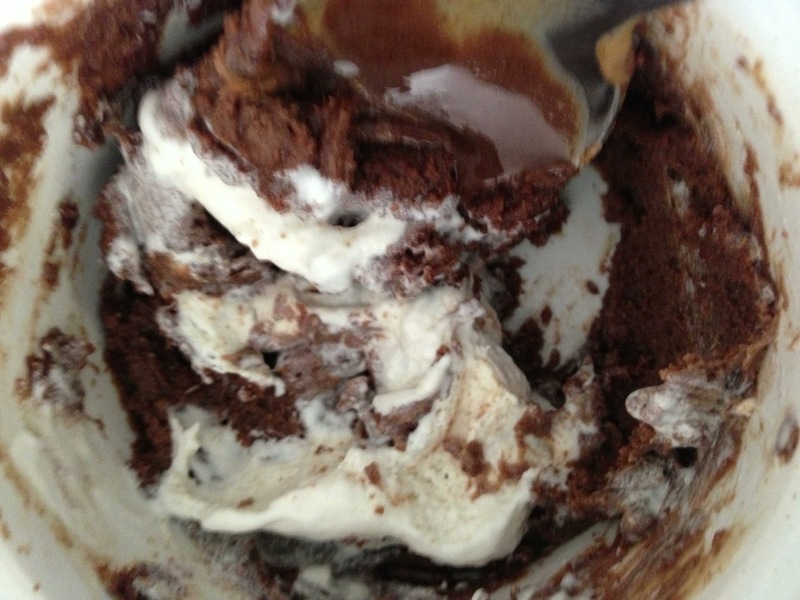 For a creamy, frosting-like variation, add 1-2 tbs of True Whip or your favorite whipped topping. You could use homemade whipped cream for this. 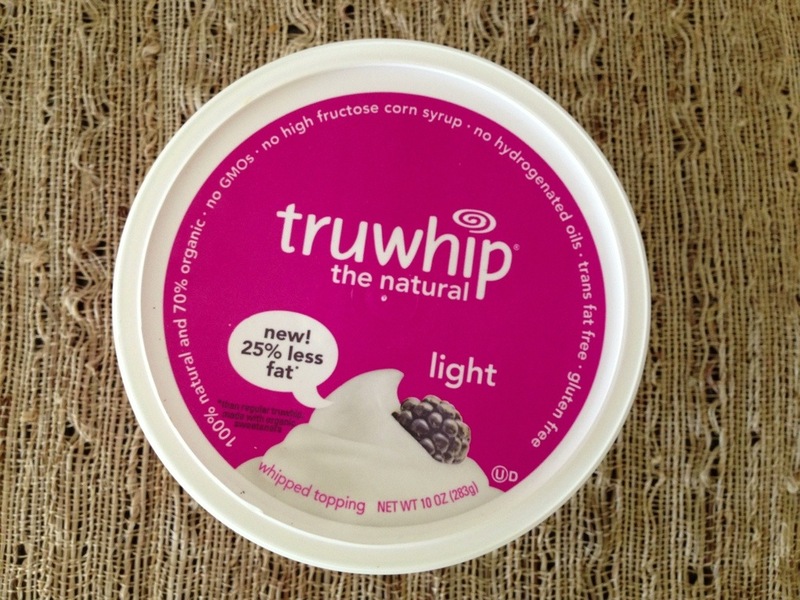 I chose True Whip (found at Whole Foods) because it’s made from slightly better ingredients than regular Cool Whip and has only 25 calories and 2 g sugar per serving. Wow, with the addition of whipped topping takes this treat to another level. Tastes like cool and creamy s’mores! Keep in mind that this is still a dessert, not a health food! You could probably have it with breakfast knowing it’s a better choice than regular Nutella, but always enjoy nut butters in moderation unless you’re looking to bulk up.